You'll find things you won't see anywhere else, in Tucson. It's a rock junkie's paradise. Just fabulous. Hope to see you there but, if not, you can see my other in-person teaching venues, here. In other teaching news, registration is still open for my online class, Bezel Bootcamp. My bootcampers are already cranking out some terrific work. They're so good! Class doesn't end until March 15 so you have plenty of time to jump in. Save the date for my upcoming online classes. You can see what's up next, here. I have a busy year planned for online stuff, including something new. Love you, my students. So, that's what I'm up to so far, in 2015. I'm thinking of you guys and hoping to meet some of you in Texas or Arizona, this year! Lots and lots of you have been asking for this: registration for Bezel Bootcamp is now open! This is a very popular class and one of my favorites. I'll be showing you guys how to make my signature resin filled bezels. These things are so addicting to make...I'm just sayin'. The work that has come from this class, in the past, has been nothing short of amazing. We'll be covering all sorts of fun stuff in this class. 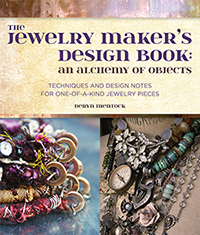 I promise, it's loaded with techniques you can use in jewelry, as well as other areas of your work. ...one of my Altering the Past online classes. These giveaways will happen once registration is over, on Feb. 15th. I'll be drawing from the pool of Bootcamp students. Fun stuff! Also, I'm doing a t-shirt giveaway on my facebook page for those of you who are willing to help me spread the word and share my facebook post. Come play with me (click here for info.) This will be the best camping experience, ever!